Mobile and fixed installation in fire hazardous areas and rooms with high humidity - outdoors in the open air can be protected installation (in the pipe, box). The site shows prices per meter of cable. Section 2x0,35 mm Max. Outside diameter 4,9 mm Rated voltage&nbs.. Section 2x0,5 mm Max. Outside diameter 5,1 mm Rated voltage .. Section 2x0,75 mm Max. Outside diameter 5,8 mm Rated voltage&nbs.. Section 3x0,35 mm Max. Outside diameter 5,2 mm Rated voltage&nbs.. Section 3x0,5 mm Max. Outside diameter 5,4 mm Rated voltage .. Section 3x0,75 mm Max. Outside diameter 6,2 mm Rated voltage&nbs.. Section 4x0,35 mm Max. Outside diameter 5,6 mm Rated voltage&nbs.. Section 4x0,5 mm Max. Outside diameter 5,9 mm Rated voltage .. Section 4x0,75 mm Max. Outside diameter 6,7 mm Rated voltage&nbs.. Section 5x0,5 mm Max. Outside diameter 6,4 mm Rated voltage .. Section 5x0,75 mm Max. Outside diameter 7,4 mm Rated voltage&nbs.. Section 6x0,75 mm Max. 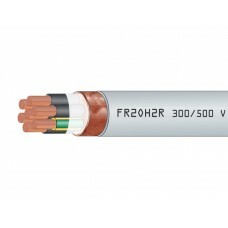 Outside diameter 8 mm Rated voltage ..